Azizullah Younas did his Masters in Journalism and Mass Communication from Gomal University, Dera Ismail Khan. He is currently serving as Manager of electronic media on news on polio, a project of UNICEF. Supervising a dedicated team of media monitors, Aziz ensures quality of daily report and its dissemination for the target audience on time. He is managing the entire Media Monitoring project, including daily newspapers, in absence of team leader; ensures all approved channels are monitored round the clock; translate news reports/tickers/talk shows as and when required besides compiling monthly data. He is leading a team of nine people, providing them training on content and format of news items, editing of video clips, and translation. 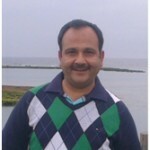 Aziz brings with himself more than 18 years’ experience of working in mainstream media along with media monitoring. His work with leading media and research organizations gave him a unique understanding of Pakistan’s political, economic, and social facets. His decade-long association with the US Embassy’s media monitoring section, and with production section of ARY News TV not only honed his understanding of media in Pakistan but also helped developed his skills in using latest social/digital media tools. During his work with the US Embassy, Islamabad, Aziz performed full range of tasks with special focus on critical thinking and wrote analytical products providing deeper insight on major issues in Pakistan. He undertook research work for TV talk shows "Off the Record" and "Deadline" hosted by renowned anchors Kashif Abbasi and Mazhar Abbas respectively at ARY News, Islamabad. He also worked as producer of the current affairs show "Deadline," and wrote script for the channel's commercial program. Aziz also worked as shift in-charge at English desk of a press agency -- South Asian News Agency (SANA). He drafted and translated news reports obtained from various sources by providing complete, accurate and compelling coverage of news for print and online media. During his career with Islamabad Policy Research Institute (IPRI), Aziz worked on a number of research projects, including writing of papers and articles. He actively participated in research oriented discussions with other fellow researchers and other leading think tanks. He led from the front and made significant contribution in compilation of Factfile -- a periodical publication of IPRI. With strong time management skills, Aziz is hardworking, reliable and a team player.